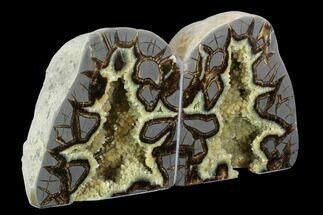 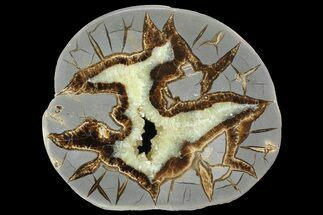 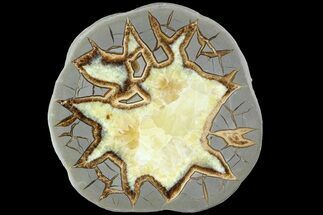 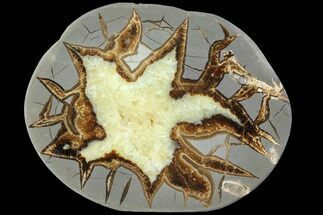 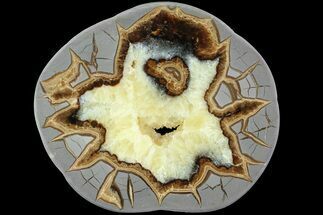 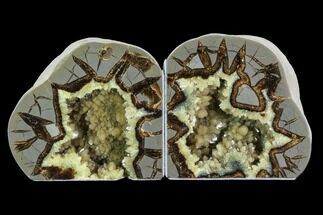 This is a beautiful, polished slice from a septarian nodule. 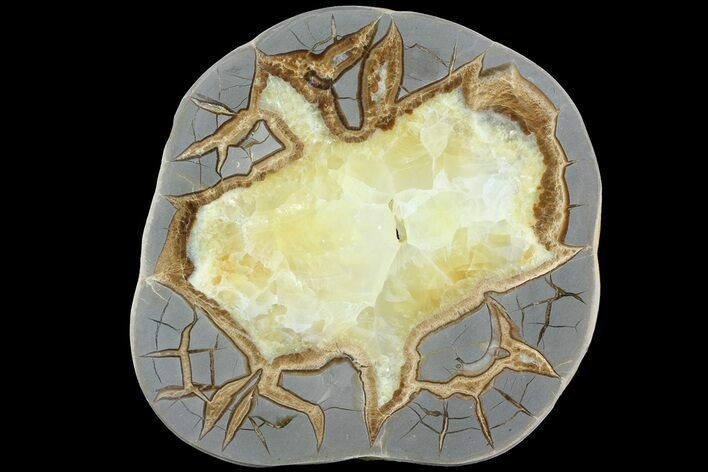 This septarian was mined West of Orderville, Utah and was deposited during the Jurassic period, about 150 million years ago. 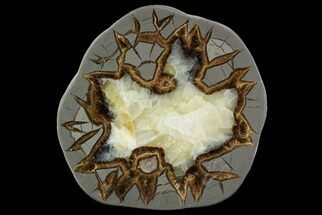 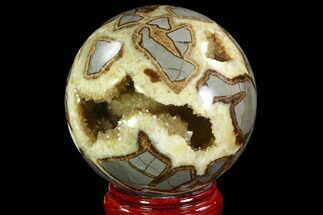 The contrast between the grey limestone, yellow Calcite crystals and brown Aragonite is quite stunning. 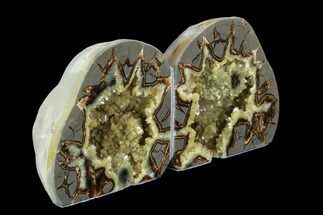 It's been polished on one side and displays well on the included display stand.